After spending the better part of the past few months trapped in a protective stasis that transformed him into a huge egg (comics! 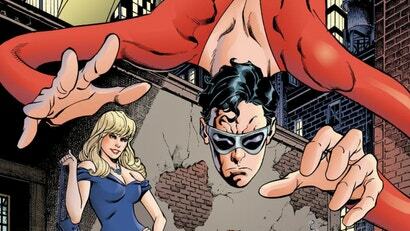 ), Plastic Man is finally back in action in the DC universe. He will also soon be headlining his own new comic miniseries, courtesy of writer Gail Simone and artist Adriana Melo.